Beware of 5 Things that Cause Fetal Disorder. Brings a lot of mixed emotions for a couple having a healthy and intelligent baby. Parents and doctor should be aware of a variety conditions during pregnancy, most of them do not realize the environmental conditions and the pregnant woman’s health effects in the health of her fetus. Many internal and external factors of pregnant women can influent fetal growth and development so it will interfere the baby health when he was born. Not only the active smoker, the passive smoker will get the bad impact. Cigarette smokes that exposure in pregnant women will cause asthma and respiratory symptoms in children. Other studies in children who were born from a mother that exposed with smoke during the pregnancy have risk two times higher impaired attention and tend to be aggressive when reaching the age of five years. Other studies state that smoking is the number one cause of the birth of infants with adverse conditions, such as premature birth, late growth in too small baby’s birth, and the most severe of organ damage is a failure of the fetus or death. The risk of schizophrenia or mental illness tripled when the mother had the flu during the first half of pregnancy and increased seven-fold if the exposure occurs in the first trimester. The overall risk is small. However, the findings show that approximately 97 % of children who was born from the mothers who had the flu while pregnant are at risk of schizophrenia. Although researchers do not know the mechanism of action, allegedly antibodies released by the maternal immune system can influence brain development. But the direct effect of the flu virus is still investigation. 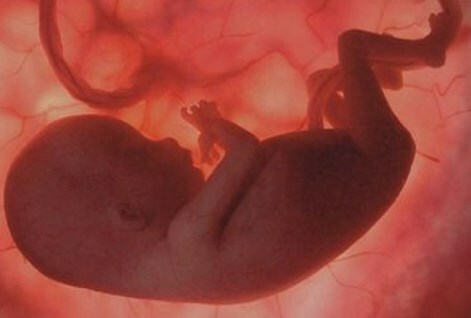 Though based on a review of several studies is known if the consumption of antidepressants during pregnancy will provide long-term effects on the fetus. More than 13% women taking antidepressants during their pregnancy. Other studies also found eating one type of antidepressants that is selective serotonin reuptake inhibitors (SSRIs) during pregnancy is associated with a higher risk of miscarriage, birth defects, premature birth and infant behavioral disorders, including autism. Air pollution that caused by traffic, industry and the dust during pregnancy will increase the risk of low birth weight babies. There are two types of motor vehicle pollution which affect the growth of the fetus, those are the black particles and nitrogen dioxide. These two types of pollution can enter the lungs and interfere the function of the organ. The results of the study in the USA, as quoted by the BBC said, the high exposure to pollution from vehicle fumes in women in early and late pregnancy may cause the fetus does not grow properly so babies born with low weight. However, a recent study found that the addition of fruit and vegetable intake during pregnancy can help protect the fetus from the effects of pollution. Pregnancy weight or obesity that occurs during pregnancy (maternal obesity) increases a woman’s risk for gestational diabetes or undergoing preterm labor, including giving the risk of obesity and diabetes in the child. A recent study has also linked the women’s weight between pre – pregnancy with the risk of asthma in children. According to a study in 2013 found that 12 percent of 1,100 children who was born from obese mothers will often experience asthma at the age of 14 months than babies who was born from mothers with normal weight (four percent). The prevention with the regular exercise by walking at least 20 minutes, four times a week. To prevent those above things, pregnant women are advised to take prenatal care or antenatal care (ANC) to monitor the health of mother and fetus in the womb. Prenatal care is a series of tests carried out at regular intervals from the beginning of pregnancy until the birth to monitor the health of the mother and the fetus in order to achieve optimal pregnancy. We welcome your dear new child to this world with love. Congratulations!